Stephanie Corneliussen (Mr. Robot) is joining CW's 'Legends of Tomorrow' as Valentina Vostok. The DC Comics character will around for multiple episodes as an ambiguous player that could tip the scales of the Cold War. In the comics, Vostok took on two identities. As Negative Woman, Vostok's origin was that of Lieutenant Colonel in the Soviet Air Force. She hijacked an experimental Russian Fighter Plane attempting to defect to the United States. 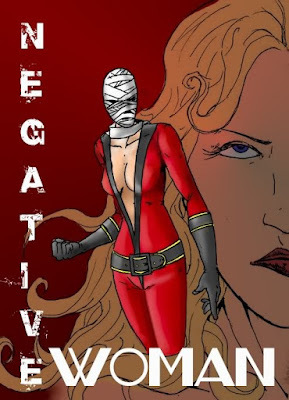 When the plane malfunctioned and crashed in the same place where the Doom Patrol died, Vostok became joined with Negative Man's body, giving her the ability to fly, become intangible and generate minor explosions upon contact with positive energy. Over time, her body became permanently radioactive, forcing her to wear radiation-blocking bandages over all of her body. Vostok also briefly took over Checkmate from Amanda Waller, assuming the moniker the White Queen after losing her abilities. Corneliussen has had guest spots on shows like Bad Judge, The Exes, and Royal Pains before making a breakthrough performance on Mr. Robot.